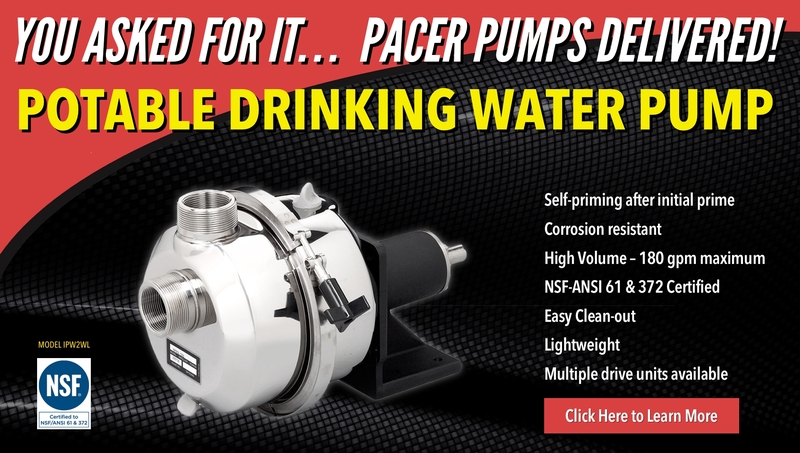 Pacer Pumps is the originator and is recognized as the leading manufacturer of high-performance centrifugal pumps molded from tough modern thermoplastics. Our brand and service is often imitated but never duplicated. 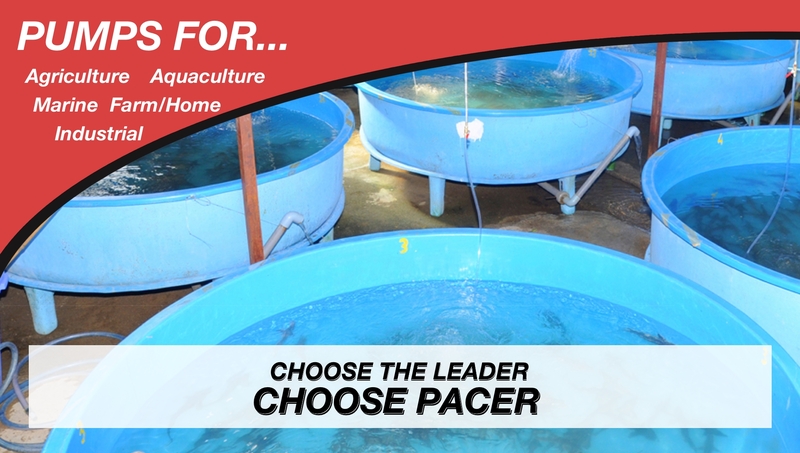 Successful adaptation of these products for agricultural, aquaculture, marine, farm/home and industrial applications has resulted in worldwide market acceptance. 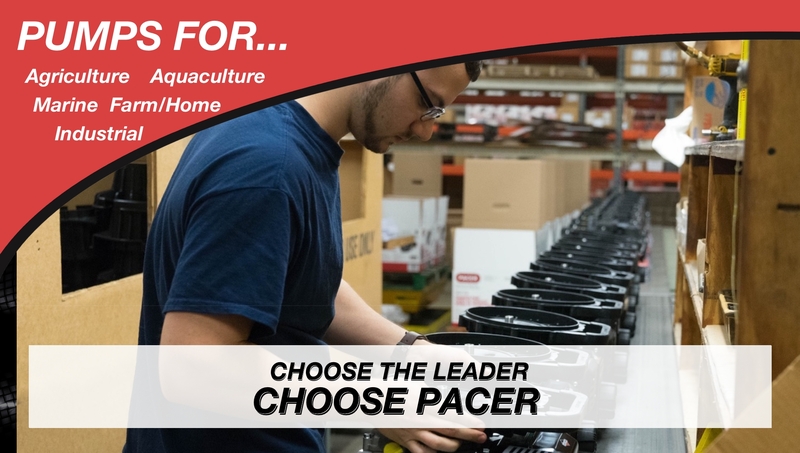 From farmers to fishermen to industrial mechanics, people turn to Pacer for quality pumps. 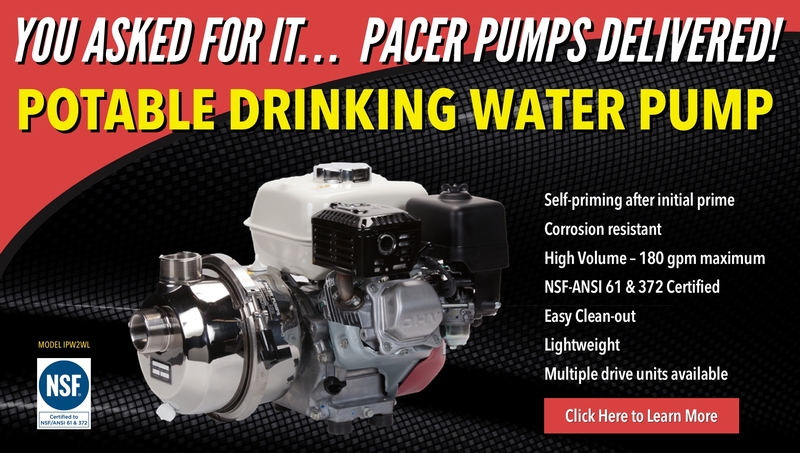 Please contact us today to learn more about what a Pacer Pump can do for you. 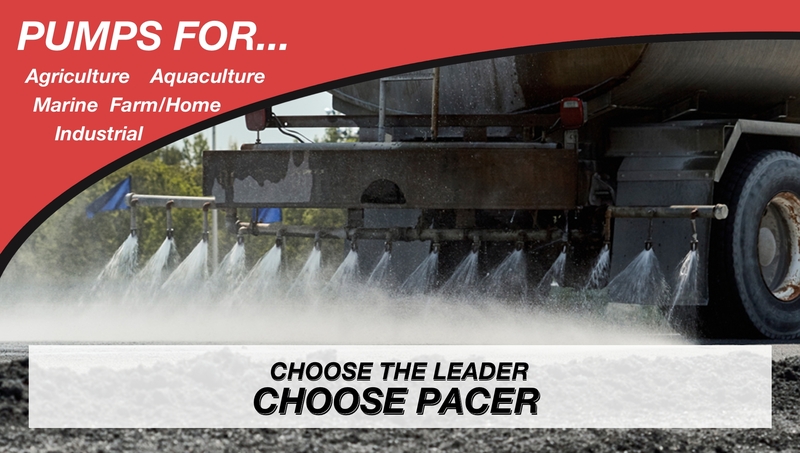 Pacer Pumps are well-suited for transferring water, fertilizers, herbicides and most agriculture chemicals. 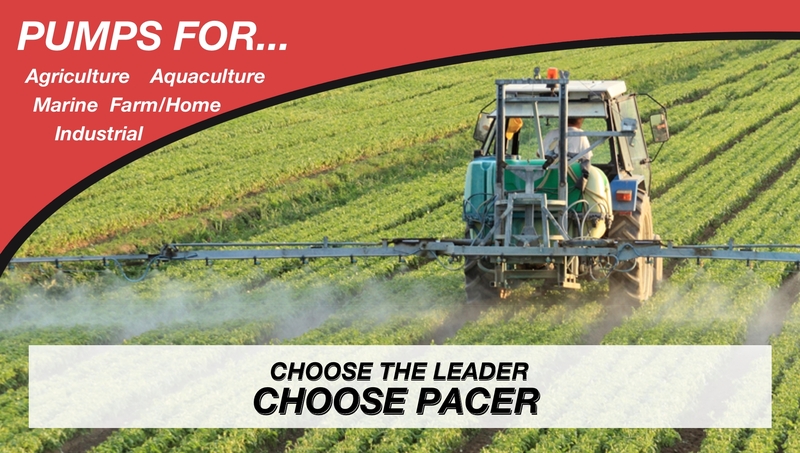 Their most popular uses are for irrigation, transfer spraying, feeding of livestock and use on nurse tanks. 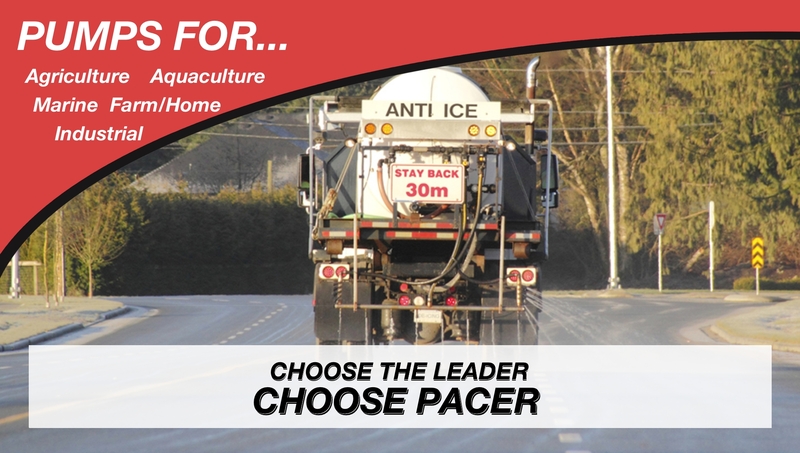 Pacer Pumps are perfect for transferring water between holding tanks, lakes or ponds, recirculation of holding tanks, in conjunction with low-pressure filtration and emergency aeration. 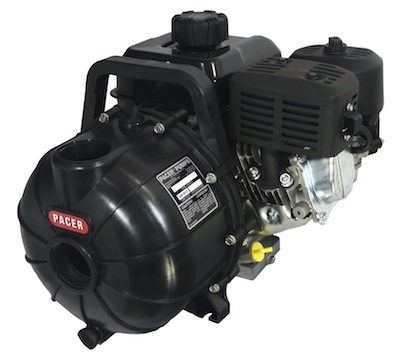 Pacer Pumps are used to dewater flooded compartments, pump out bilge areas for deck and net wash-down, fire protection and refrigeration chillers. 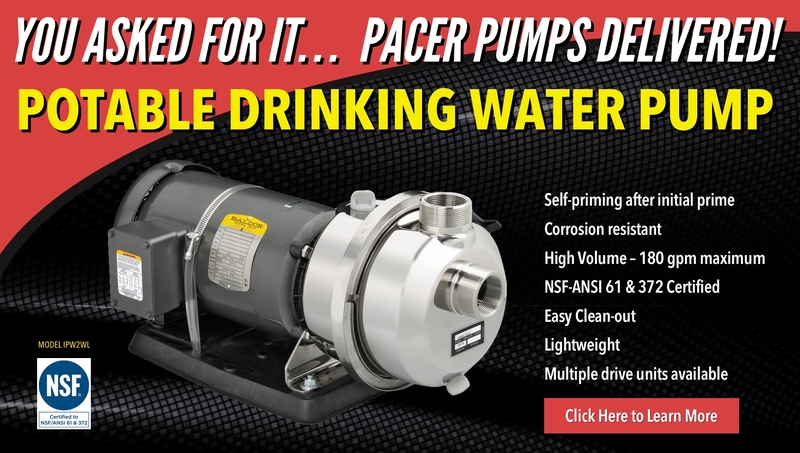 Hydraulic powered pumps are ideal for many commercial fishing vessels.